Die Zeit fliegt- sagt Emily– and hola wie recht sie hat! 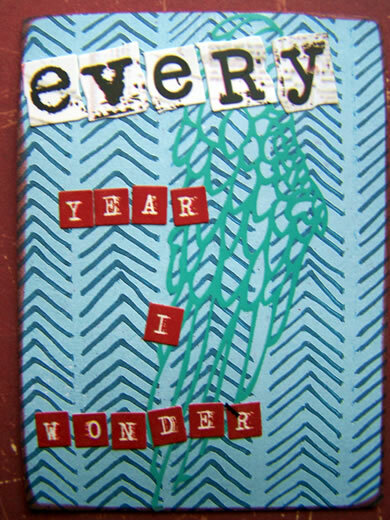 Time flies says Emily – and oh boy she is so right! 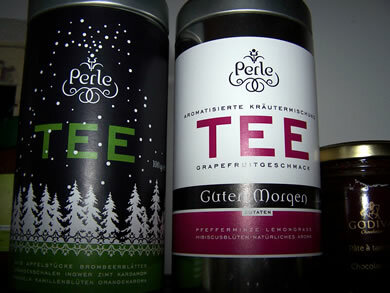 yummie christmas tea and good morning tea! my new little deer candle holder from Sweden! 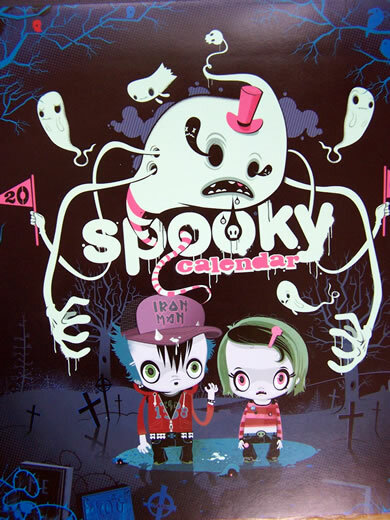 my spooky 2008 calendar that glows – yep GLOOOOWWWSSS – in the dark! Ok – Gibt es eine Kleinigkeit die Ihr Euch gegönnt habt in den letzten Tagen, die Euch richtig glücklich gemacht hat? Is there something small you treated yourself in the last days, which made you really happy? Love your cards and especially the tea boxes. As Gabriel is still ill, no shopping for me at the moment. deine karte ist mal wieder richtig schÃƒÆ’Ã‚Â¶n! kann mir gar nicht vorstellen, dass es ab januar dann keine mehr gibt von dir ?! i will have a look at this calendar on saturday!! hehehe!! 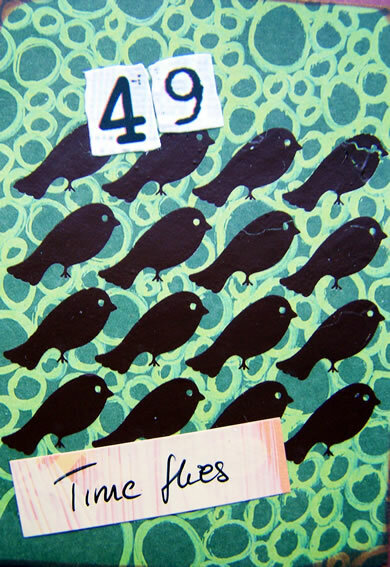 love all the other goodies and the tons of birdies on your card!!!! I adore your cards. Lets see, I’ve treated myself to a fresh, live Christmas tree. I’ve never had one, its only me in the house but I wanted to celebrate. Oh, I forgot to ask, are the birdies hand drawn, a stamp or rub-ons? I LOVE the way you used them on your card! PERFECT! I LOVE your card! TOO COOL! I LOVE that calender you got! That is too funny! I can’t believe it glows in the dark too! LOVE IT! P.S. Thanks soo much for the comment you left me re: my card. I really appreciate it. Especially coming from an oh-so talented person like yourself. 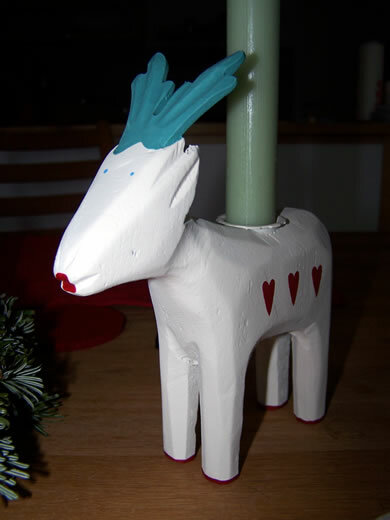 And the deer candle holder is sooooooo cute, that calender is awesome…. !! Did I buy something that made me happy? Yes… last week, several thickers at the Dollarama……. love to buy stuff for 1 dollar instead of 5 LOLOL and the fact the sold them…..totally cool! Fabulous things. Love the card.